Was most of the growth seen in company profits during the late 80s, and in some cases in the early 90s, due to the improved efficiency of British industry - or was it generated from the manipulation of profits by creative accounting? 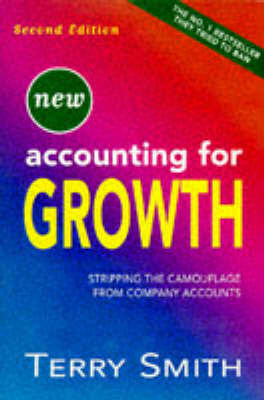 This new edition of ACCOUNTING FOR GROWTH is a ruthless exposure of the accountancy practices - not illegal - which are used to bemuse the investing public and cast a rosy glow over the accounts of companies which in some cases were on the verge of bankruptcy. The first publication of the book in 1992 caused up an uproar in the City and beyond, and as a result of it many of the practices identified by Terry Smith have been changed or discontinued. This new edition, with much new material and additional chapters, is equally hardhitting and will once again put accountancy practices under the microscope.